- 20 - 30 mm, 25 - 35 mm, 25 mm, 30 mm, 22 mm calibration. Color: Minor color tonal variations exist but within the tolerance limit. Formats: Tile, slabs, blocks, cut to size pavements, flags. LLP - YELLOW more popularly known as Lalitpur Yellow is especially useful for exterior cladding in sea shore buildings due to acid & thermal resistant properties. As such the effect of saline winds is negligible on Lalitpur sandstone. The golden yellow hue of this sandstone demands for it's wide installation. We have emerged ourselves as a leading one of the processor, exporter and supplier of an exclusive assortment of Lalitpur Yellow Stone that are procured from the quarries of Lalitpur. All these are widely used in exteriors, wall treatment, pillars, sculptures, arches and many other construction purposes. To delight our clients we offer the assortment at pretty competent prices. 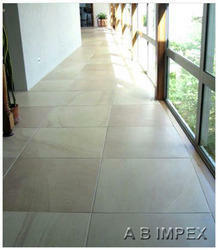 Our organization is engaged in manufacturing of wide range of sandstone. Sandstone is weather resistant. It neither absorb heat in summer nor they become cool in winter. We offer a varied range of Lalitpur Yellow sandstones, which are durable as well as weather thermal resistant. Used for interior and exterior finishing, our range is available in many shades, sizes and shapes. In addition we also provide customization to our entire range. Being a customer oriented organization, we are deeply engaged in offering a wide array of Lalitpur Sandstone. 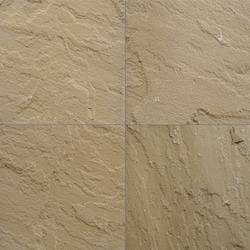 Lalitpur Yellow Sandstone is manufactured using the superior quality Blocks. The range is available in yellow color and is very popular among the clients. The Lalitpur Yellow Sandstones are also customized as per the requests of the clients. Avail the superior variety at the most discounted range from us.